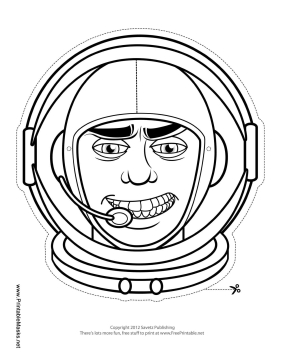 A male astronaut outline mask like this one can be colored in and worn with string for a quick unique costume. Color his space helmet and space suit your favorite color and get ready for lift off! This mask is free to download and print.